Heat the melt and pour base in the bain-marie first as the coconut oil melts very fast. Then add the coconut oil to the melted soap base in the bain-marie. Blend well to ensure it is all mixed thoroughly. I use a wooden lollipop stick but a small spoon is sufficient. Then add the drop of food colouring to the melted soap mixture. Add the lavender buds just before you pour the mixture into the moulds to ensure they keep their shape as much as possible. Stir the mixture to combine everything equally. Pour in the moulds and let cool for at least 2 hours. I would normally leave these in the moulds over night to set completely, but removed them after 2 hours to see if the colour was right. I was a little surprised to find that the majority of the lavender buds floated to the top to make this wonderful layer of infused scent at the bottom of the bar. You know it smells good when the butterflies are still attracted to it. While presenting it to my Mum as her gift, I made a new friend. It landed on my soap. I couldn’t resist a photo. 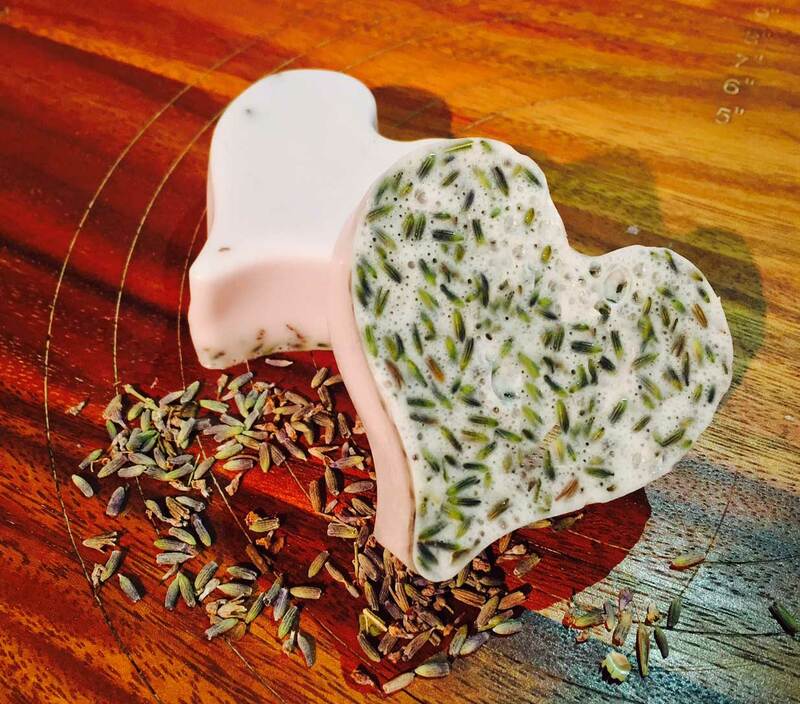 If you have a go making this soap too, please share your photos and comments below. I would love to see your creations. Wow! That soap looks super cool!